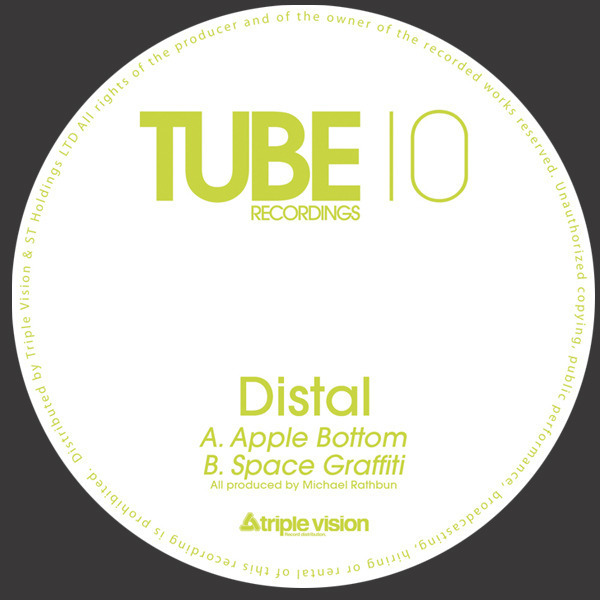 After a nutty 12" on Fortified and releases on Soul Jazz and Surefire, Distal joins the 808 set on this crafty EP for Tube10. Face-up 'Apple Bottom' works it to the bone with a bobbling, Ramadanman-style Roland rhythm slashed with mentasms and rave pianos to wicked effect. While 'Space Graffiti' is more stoned and rolling, with wide arcing synth pads enveloping another fine-cut 808 bounce beat. Also included on the digital version are 'Notlanta' and 'Chit Chat'.